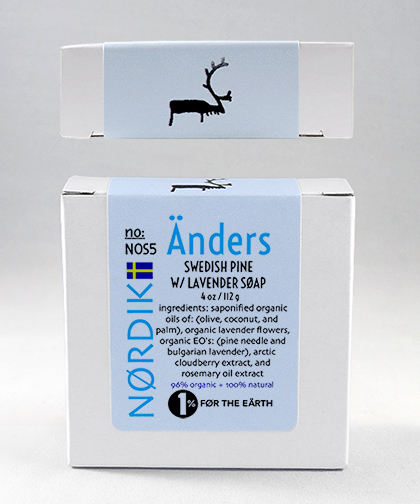 How did French Lavender essential oil sneak into a Scandinavian soap? It just did because the two essential oils of Lavender and Pine blend so well together. We added ground Lavender flowers and Arctic Cloudberry Seed Oil, and this soap has become a favorite of many. Steam distilled from the leaves and flowers of the Lavender plant, this beautiful floral oil is generally regarded as the most useful and versatile essences for therapeutic purposes. One of our favorite ingredients, it is soothing and calming, but also stimulating and refreshing. We source this particular Lavender from Bulgaria. This Lavender is slightly more resinous than our French Lavender, but we felt this would be more appropriate for this soap and many of our customers agree with our decision. We add these ground lavender flowers to the mix to boost the lavender properties along with a slight exfoliation element.